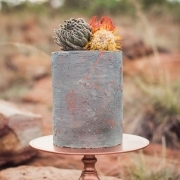 Curious about the groom’s cake tradition? Let’s find out what a groom’s cake is, how and when it is served. And we couldn’t leave out, who pays for it? Traditionally, a liquor-infused fruit cake was quite popular for a groom’s cake. Let’s keep the tradition alive! Many weddings don’t even have a groom’s cake, but it’s an age-old tradition that’s actually quite special. Let’s talk about this sweet confection and get inspired by quite a few original ideas! 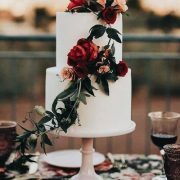 So, What is a Groom’s Cake? 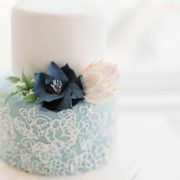 The groom’s cake is wedding tradition that originated (yes, you guessed it) in Victorian England! Just like the traditional wedding cake, it started out as a fruit cake. 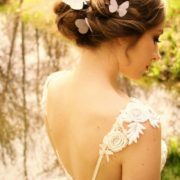 Later on, this trend arrived to the United States where it became more of a Southern wedding tradition. It’s showcased right next to the wedding cake and is usually cut later and placed into take-home boxes for the guests to enjoy later on. 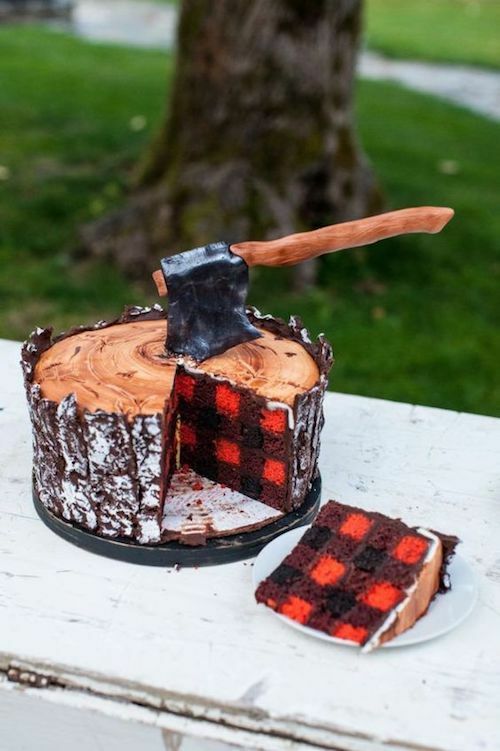 Originally, the groom was supposed to decorate his own cake but now it just reflects his interests and personality, as well as his favorite cake flavor. Who Pays for this Cake? 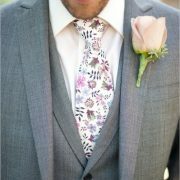 It is customary for the groom’s parents to cover this wedding expense. Some grooms pay for it themselves and sometimes, it’s the bride the one that decides to surprise his hubby-to-be with a confection she knows he will love. When is the Groom’s Cake Served? This cake was intended to be shared with the groomsmen – just like the bride’s cake is for the bridesmaids. Nowadays is either served at the rehearsal dinner or after the wedding cake. 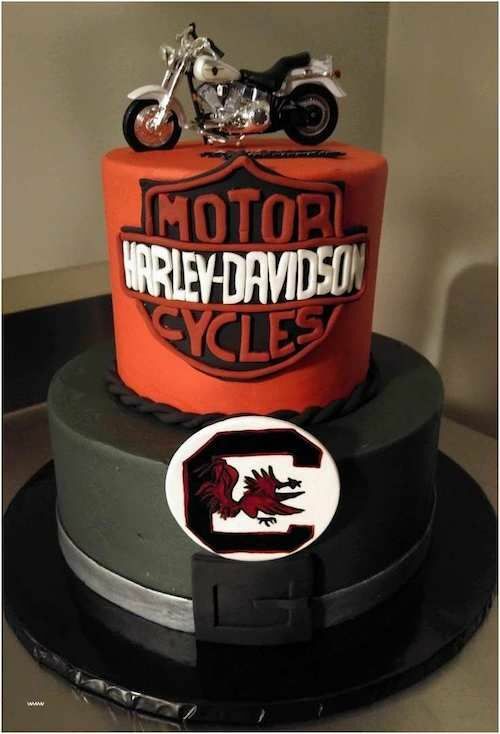 Celebrate the biker in him. 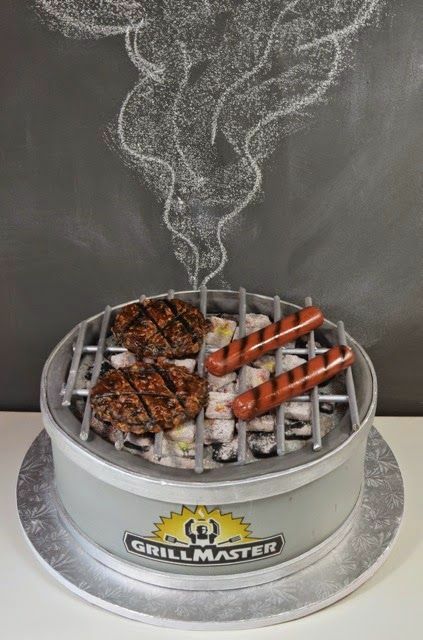 For the outdoorsy groom, one of the most creative cakes i have ever seen. Basically, you can cut it whenever you want. So, have the caterer slice up and serve to your guests at the rehearsal dinner or after the wedding cake. Or you can keep tradition and send your guests home with a boxed up slice! How Many People Does a Groom’s Cake Serve? It all depends on its intended use. 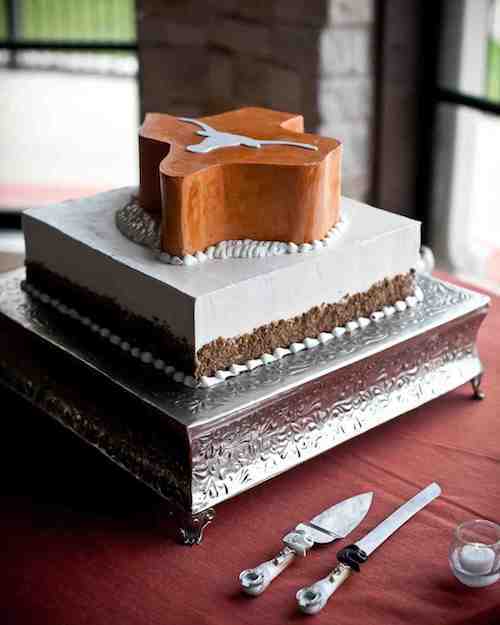 If it’s meant to be shared with the groomsmen or served at the rehearsal, a slice per person will be enough. If you plan on having it after the wedding cake, think half a slice per guest. People will be pretty full by then. Scrumptious and original groom’s cake by Dustin Meyer Photography. There’s no obligation to have a groom’s cake at a wedding. He can choose a few confections for the reception’s dessert table. 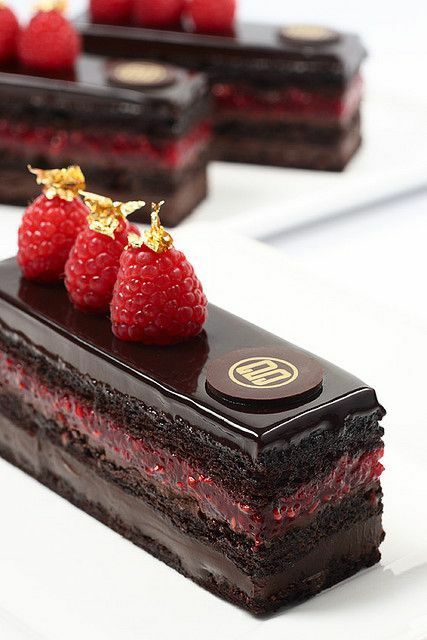 Like these raspberry chocolate mini cakes. Photo: Gerald Goh. 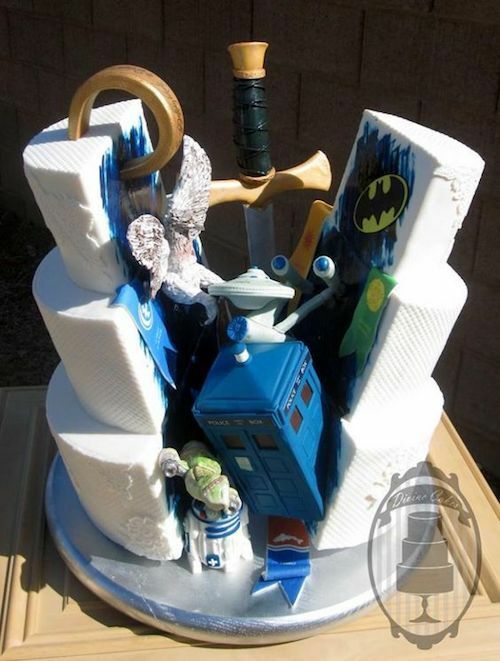 Gotham City, Dr. Who and all of his fav characters into one original groom’s cake by Chrissie Boon. “A wedding without cake would be a wedding without protocol, a rite without confirmation.” William Woys Weaver, University of Pennsylvania. Traditionally, a liquor-infused fruit cake was quite popular for a groom’s cake, but now it’s usually whatever flavor the groom loves. Think anything from decadent chocolate to a stack of strawberry crepes (yum!) and everything in between. As a Southern tradition, the cake’s theme could be a replica of his alma maters’ sports arena, a golf course or an homage to his favorite geekiest hobby. But if you are worried that his cake won’t look too good sitting next to your wedding cake, you can always showcase it at the dessert table! 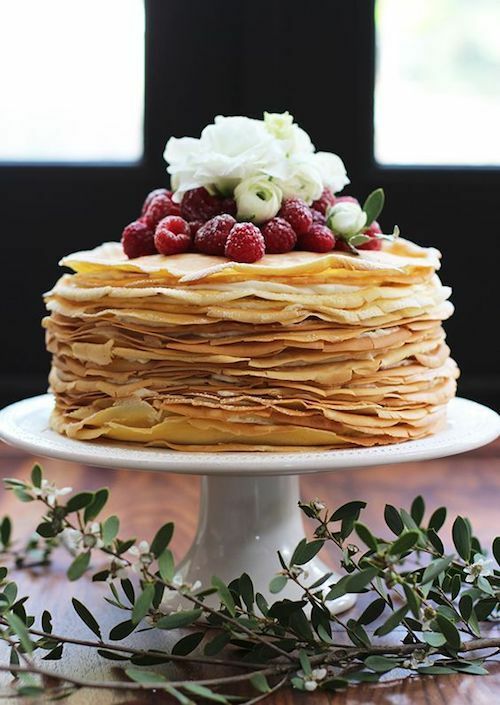 Fancy a lemon mascarpone crepe cake for the groom? 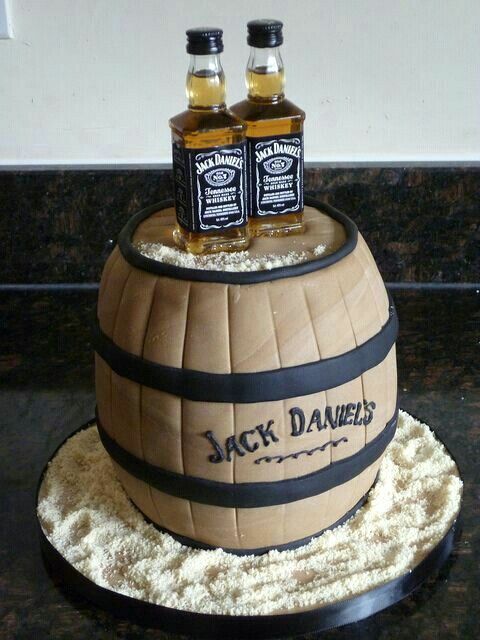 I think the groomsmen will love to partake of this cake, don’t you agree? 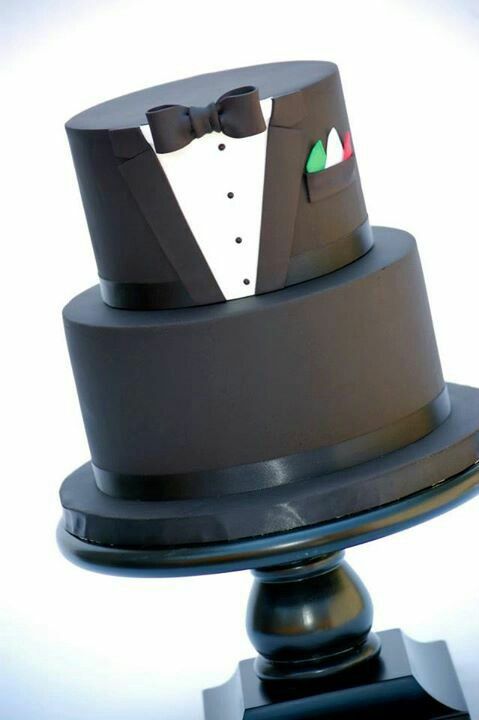 A groom’s cake should reflect his passions and personality. He can literally pick anything he likes. From sports team colors to car racing to a barrel of his preferred drink and even a decadent drip cake covered with his favorite candy. This one is all about him, so let him get as creative as he wants. For the car aficionado a ’68 Camaro will do. 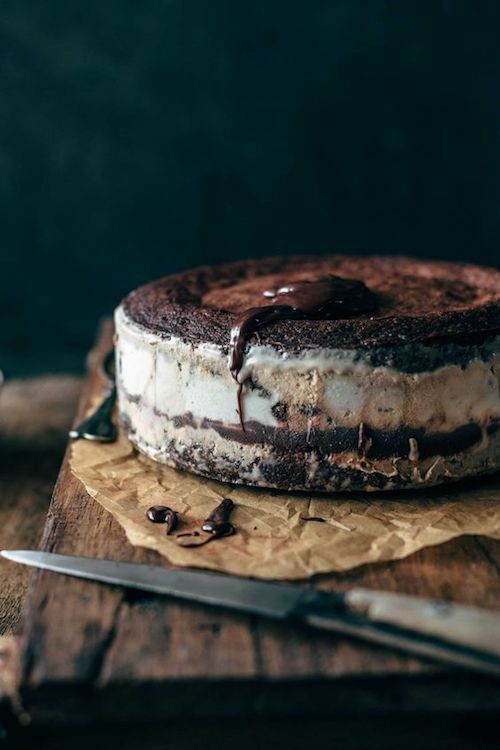 Get a decadent fudge ice cream brownie cake and enjoy, or send your guests home with a boxed slice. 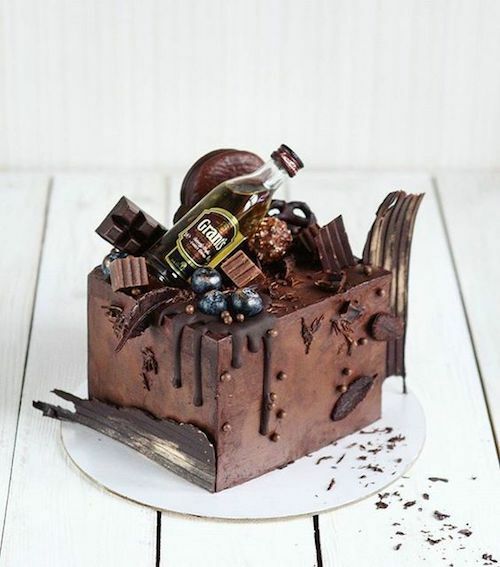 Cake by alsothecrumbsplease. 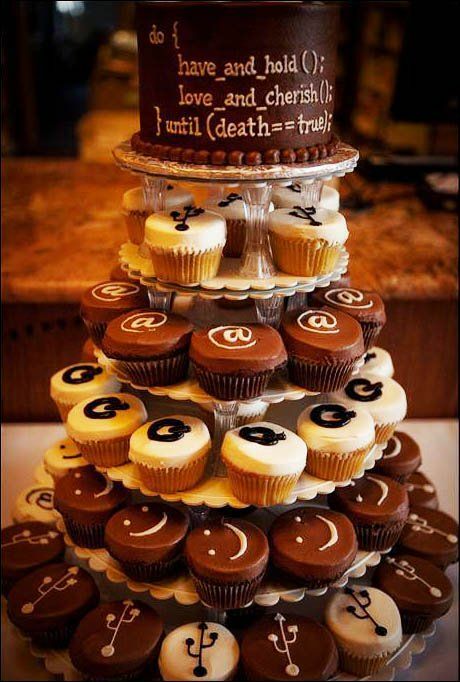 You can even merge your wedding cake with the groom’s and share in your nerdy sides. 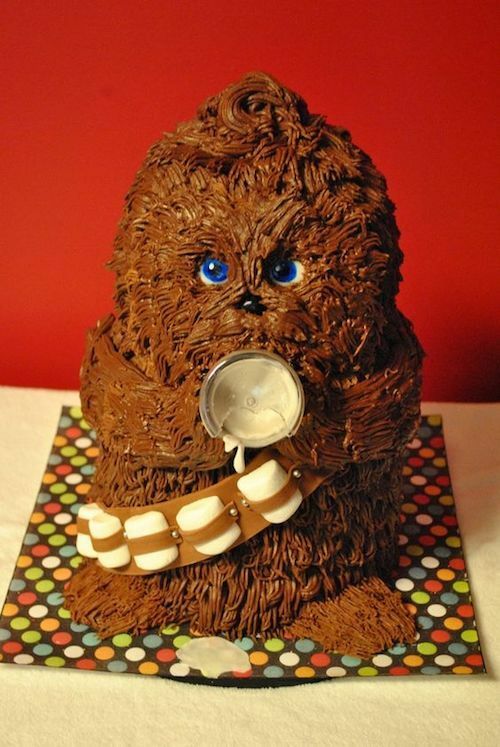 The legendary Wookiee warrior in piped chocolate ganache to help him restore freedom to the galaxy. 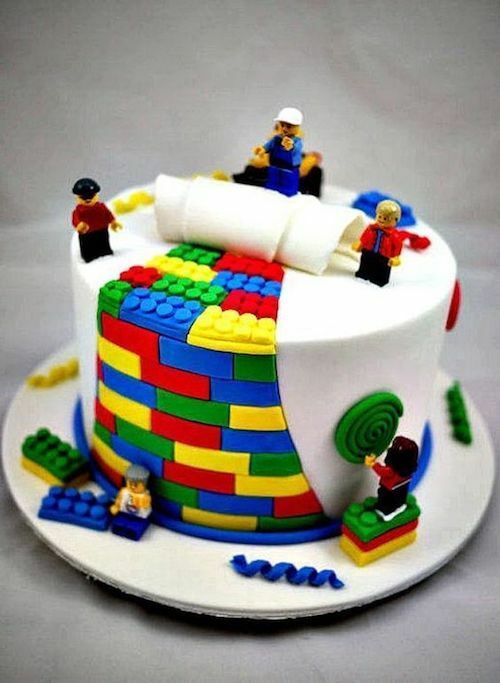 Yes, it’s a cake! With mini marshmallows for coals. 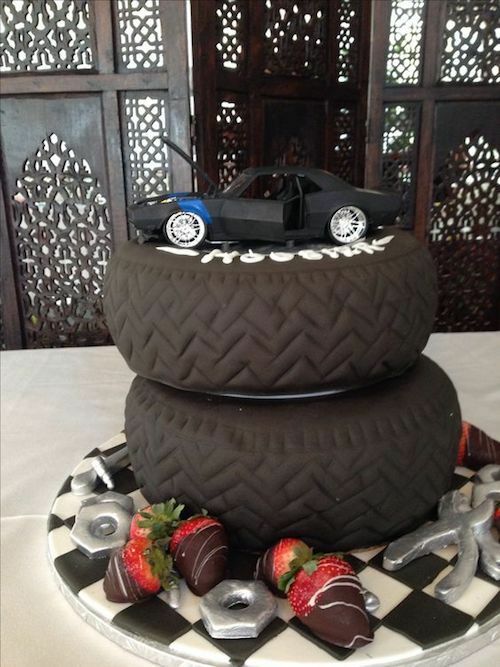 How creative can a groom’s cake be? Confection by cupadeecakes. 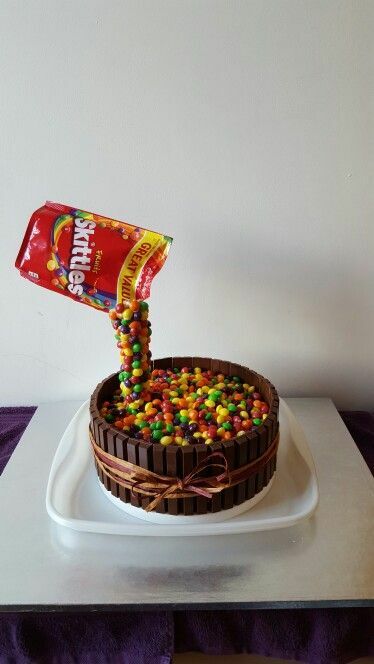 A sweet gravity cake for your husband to be. Go Skittles! Why not give the groom his own cake so that he can share in the spotlight too? Don’t forget to ask your baker if ordering both the wedding and the groom’s cake gets you a courtesy discount. 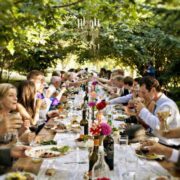 Want to check out some wedding food ideas or see more groom-related inspo? Photo Credits: honestlyyum, cakecentral, rocknrollbride, marthastewartweddings, thelittleepicurean, sprinkle bakes, thedessertchronicles.